CareerConnectED is opening up access to a number of their resources to be used outside of the facility to Consortium members. Check our website monthly for updated equipment and resources. Materials can be picked up at The CareerConnectED Center and kept for a duration of 7 days. When returning materials, please include a list of student's names and grade that were impacted by the resource. Breakout boxes in the classroom can be adapted to any curriculum as well as grade level. Create your own puzzle or check out breakoutedu.com to see free ready to use resources. Do you need an extension activity? Reward Day activity? or just want to introduce something new and fun to your students? Perfect for kids to start learning and loving robots with the stroke of a marker. Start with paper and markers and then advance to block coding with OzoBlocky. These robots are easy and fun to use and come with already created lessons. 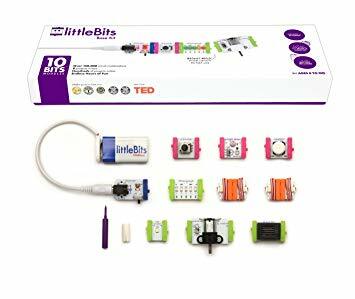 Check out the littleBits educator's site to get more info on how to use it in your classroom. Need an engaging way to introduce a concept or subject to your students? Want to take a field trip, but don't have it in your budget? Virtual Reality equipment allows students to create virtual experiences to showcase their knowledge without ever having to leave the classroom. Check out classvr.com to see sample lessons and ideas or Discovery Education for virtual field trips.